Curacha in Alavar Sauce is a famous Zamboanga’s secret blend of sauce with spanner crabs cooked in coconut milk, curry and other spices. Don’t leave Zamboanga without visiting one of their famous dish at Alavar’s Seafood and Restaurant. 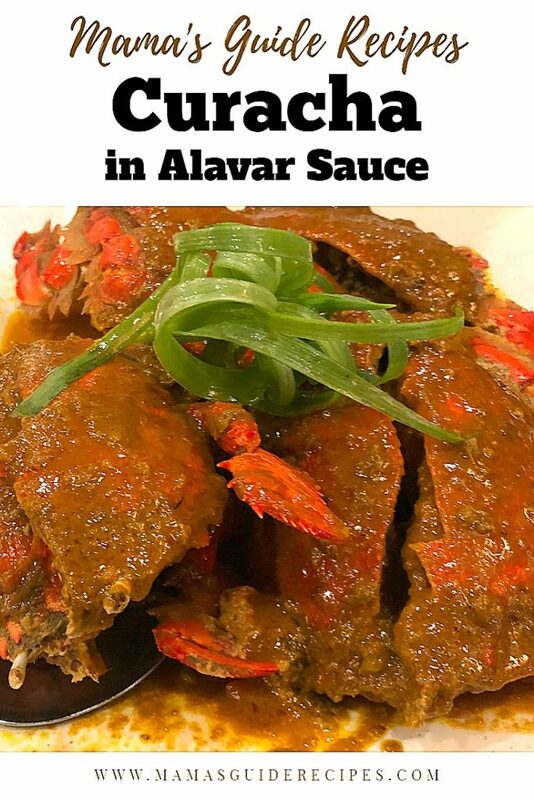 One of the main ingredients of this Alavar Sauce is the Crab Roe Paste. “Crab Roe Paste or Taba ng ‘Talangka’ or in Filipino it is called Aligue. Although most people literally translate taba ng talangka to “crab fat”, but it is actually “crab roe” or “aligue,” which comes from the female crablet. This crab can only be found in the Philippines and taste just like crabs and lobster combined. Can you imagine how delicious it can be? Try it today or in any special occasion. You can use any crabs if Curacha is not available or use Sugpo or prawns in Alavar Sauce to put a different twist. Happy cooking! In a pan, pour in 250ml coconut milk. Bring it to a boil and let it simmer over low heat with non stop stirring. Once the coconut milk dries up, it will turn into oil and coconut residue will start to form. Coconut residue is what you call “Latik” in Filipino. Drain coconut oil and keep it for other purpose and separate the coconut residue or latik for later use. Set aside. In the same pan, heat oil over medium heat. Saute garlic, onions and ginger until the onion becomes translucent and soft, around 2-3 minutes. Add the turmeric, paprika, curry powder, oil from the annatto-oil mixture and fresh chilies. Add the latik, crab roe paste and 250 ml coconut milk. Season to taste. Bring to a rapid boil. Adjust heat to low and just let it simmer for 3-5 minutes. Puree the sauce (optional). Transfer the pureed sauce back in the pan. Then, add the curachas and siling haba. Continue to cook for about 2-3 minutes.